Franklin G. Gibbs is a patent attorney admitted to practice patent prosecution before the United States Patent and Trademark Office and to practice appeals before the Board of Patent Appeals and Interferences. With physics and engineering background, including fourteen years of management and engineering experience at Hughes Aircraft Company, Mr. Gibbs has worked with various clients ranging from the individual inventor seeking intellectual property protection for simple inventions, to multi-million dollar aerospace companies in complex licensing negotiations with entities such as NASA. As an experienced litigation attorney with a strong background in intellectual property, in addition to patent prosecution matters, Mr. Gibbs has worked on a wide range of intellectual property matters including complex patent infringement litigation as well as copyright and trademark litigation, trade secrets and unfair competition. Mr. Gibbs has represented domestic and international companies in the aerospace, smartphone, semi-conductor, computer hard-drive and automotive industries. He advises clients on intellectual property protection, technology licensing, privacy and non-disclosure matters. Mr. Gibbs has been lead counsel on numerous complex patent infringement and copyright actions. 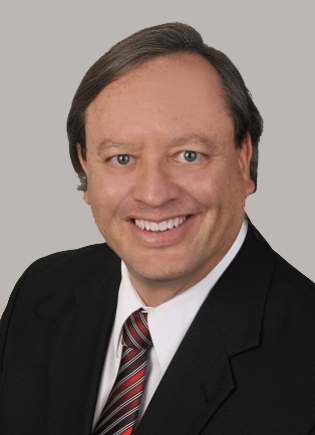 Mr. Gibbs has directed all stages of complex patent litigation including discovery, motion practice, invalidity contentions, infringement contentions, Markman hearings, depositions, motions in limine, trial briefs, ex-parte reexamination petitions before the USPTO, and settlement negotiations. Lin Packaging Technologies, Ltd. v. Powerchip Semiconductor Corporation - represented Powerchip Semiconductor Corporation, a Taiwan-based publicly-traded DRAM manufacturer in Eastern District of Texas. The patent in that case concerned semiconductor memory technology. Crossroads Systems, Inc. v. Dot Hill Systems Corporation - represented Dot Hill, a publicly-traded data solution company, in Eastern District of Texas. The patent in that case concerned computer router technology. Datascape, Inc. v. Sprint Nextel Corporation, et al. - represented Sprint, one of the leading publicly-traded wireless telecommunications company, in Northern District of Georgia. The patent in that case concerned smartphone technology. Heraus Inc. v. Solar Applied Material Technology Corporation - represented Solar Applied Material Technology Corporation, a Taiwan-based precious metal and thin film targets manufacturer, in Northern District of California. The patent in that case concerned semiconductor technology. Fellowes, Inc. v. Aurora Corporation of America - defended Aurora Corporation, a Southern California-based office equipment manufacturer, in Northern District of Illinois. The patent in that case concerned electronics technology.